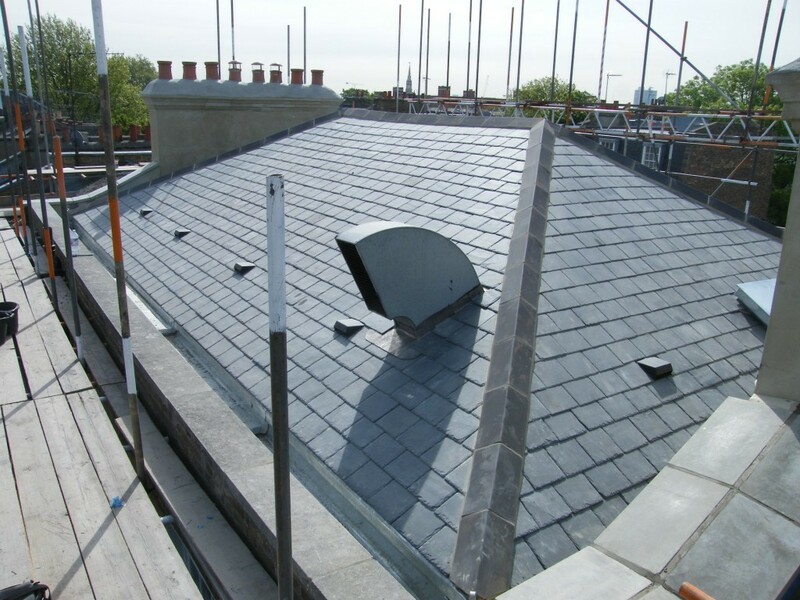 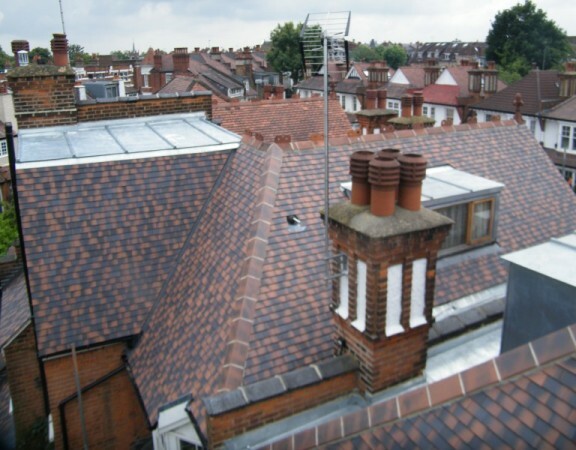 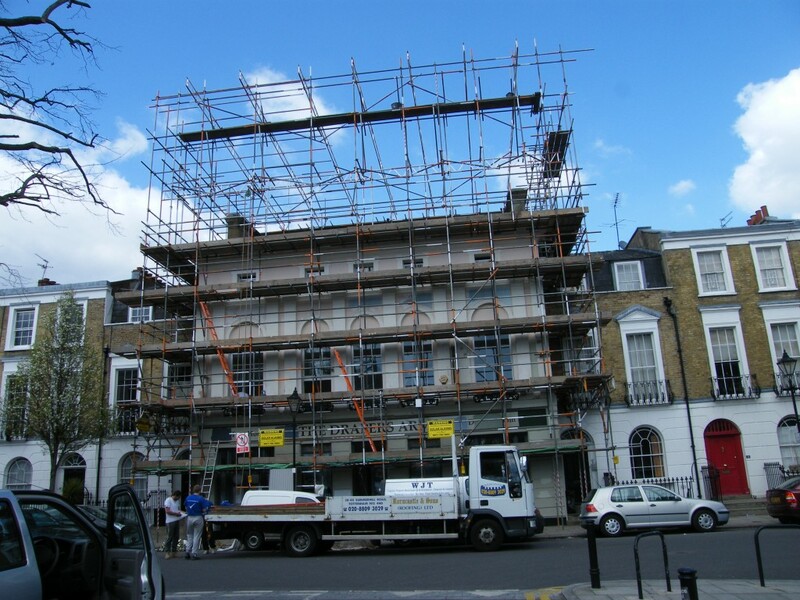 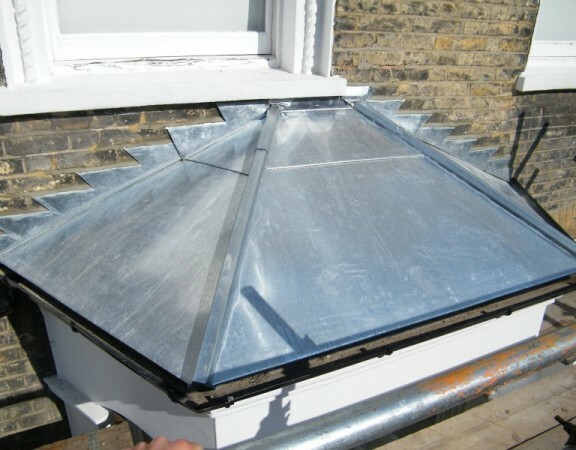 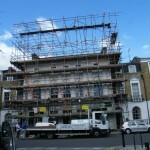 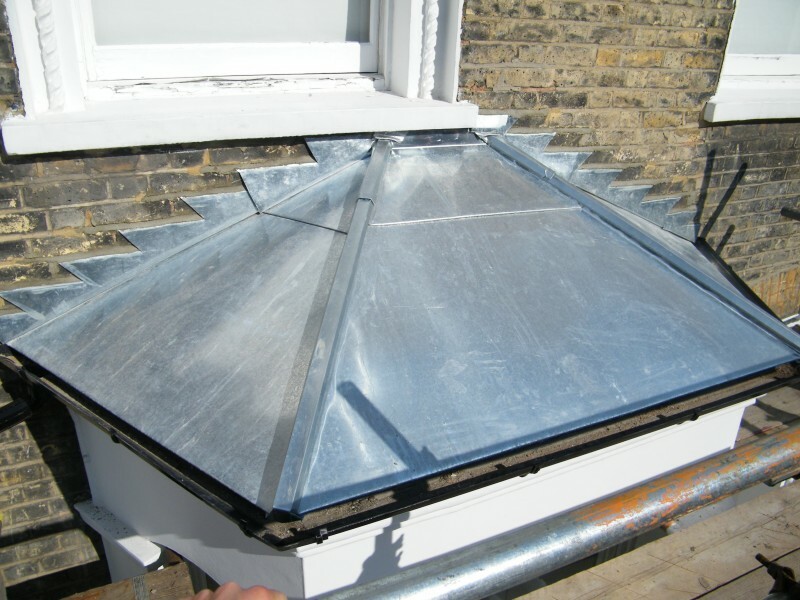 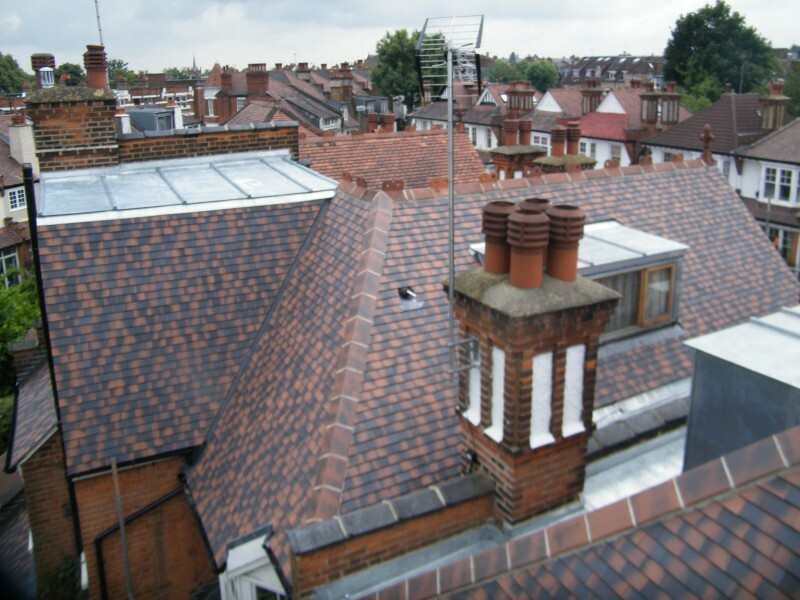 This project involved the refurbishment of a large Public House in Islington. 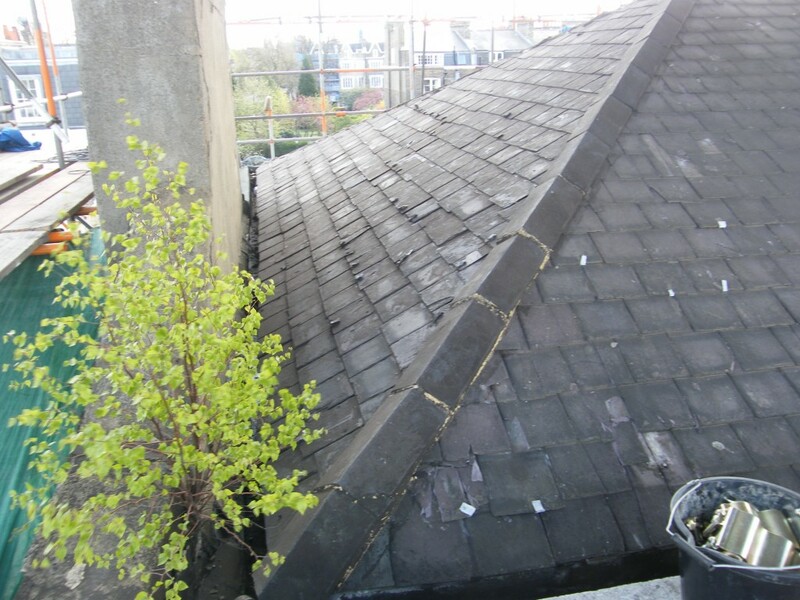 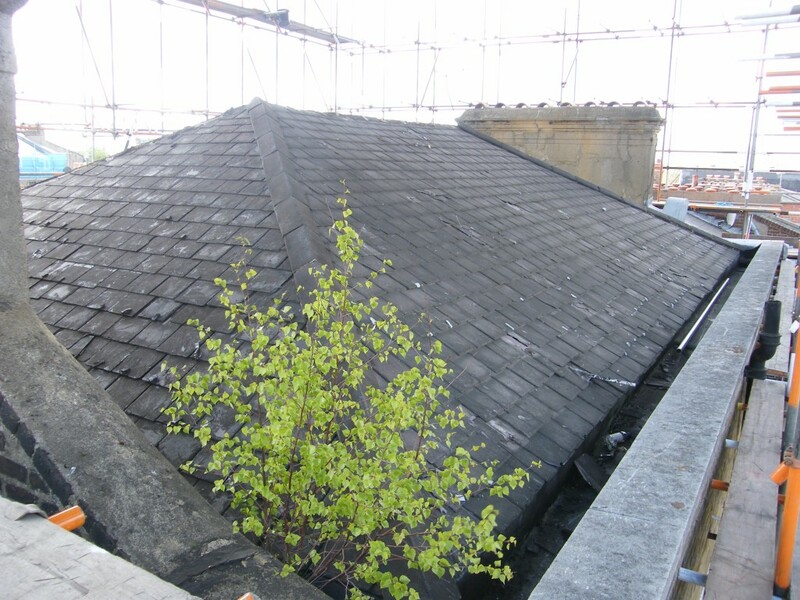 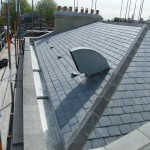 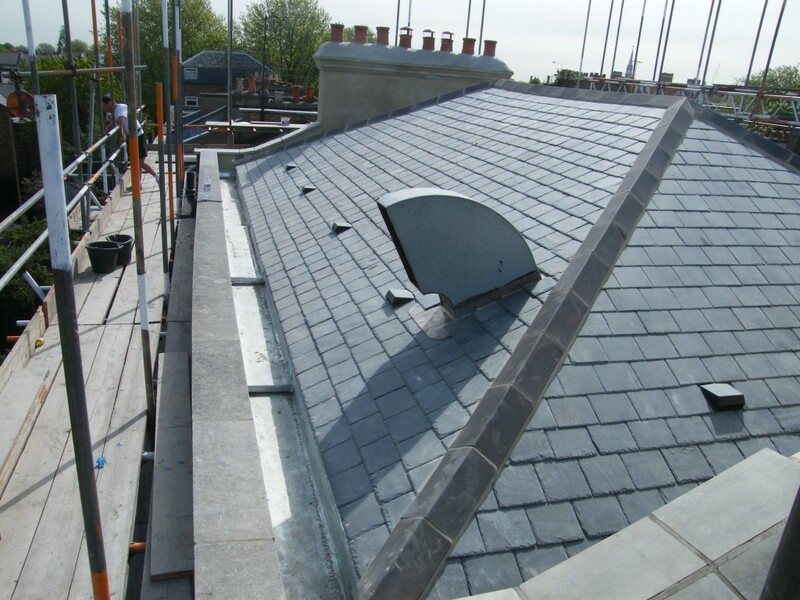 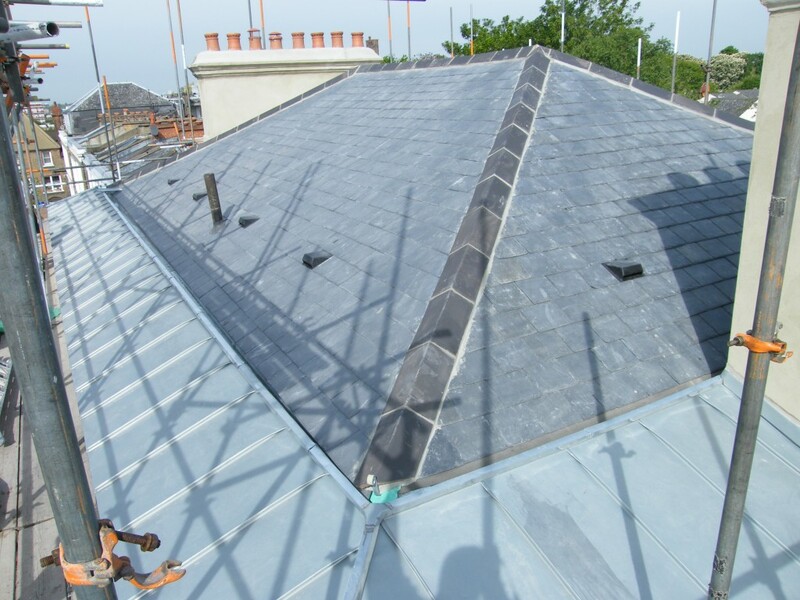 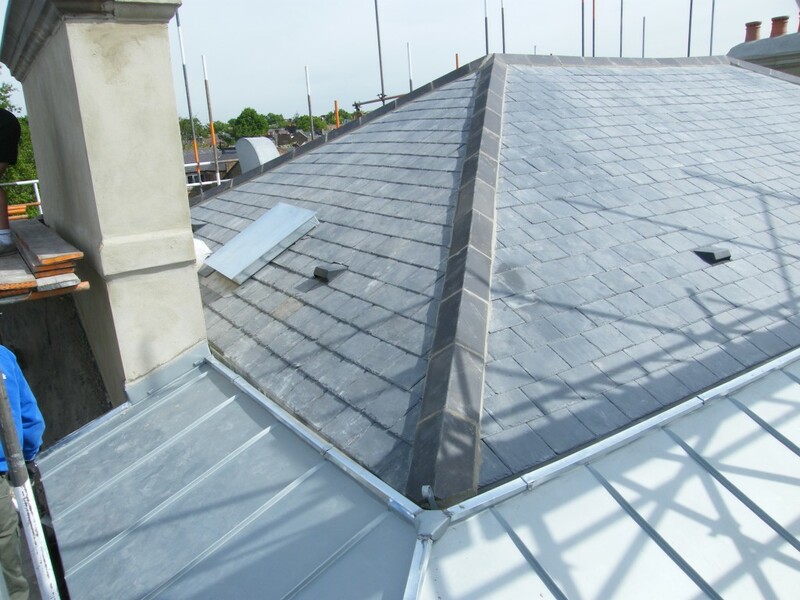 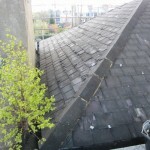 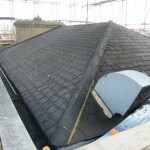 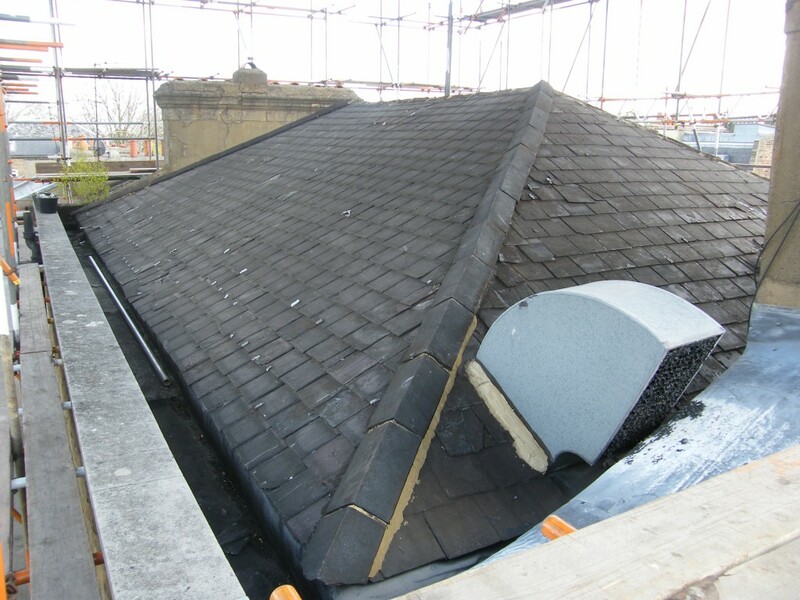 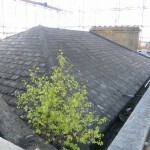 The property being grade II Listed, had to have the very best Welsh natural roofing slates installed. 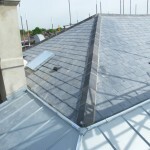 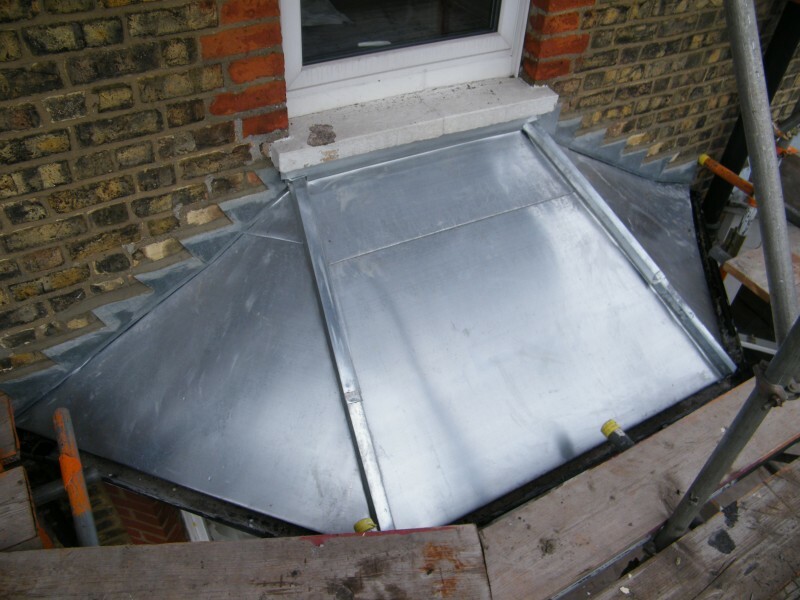 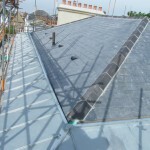 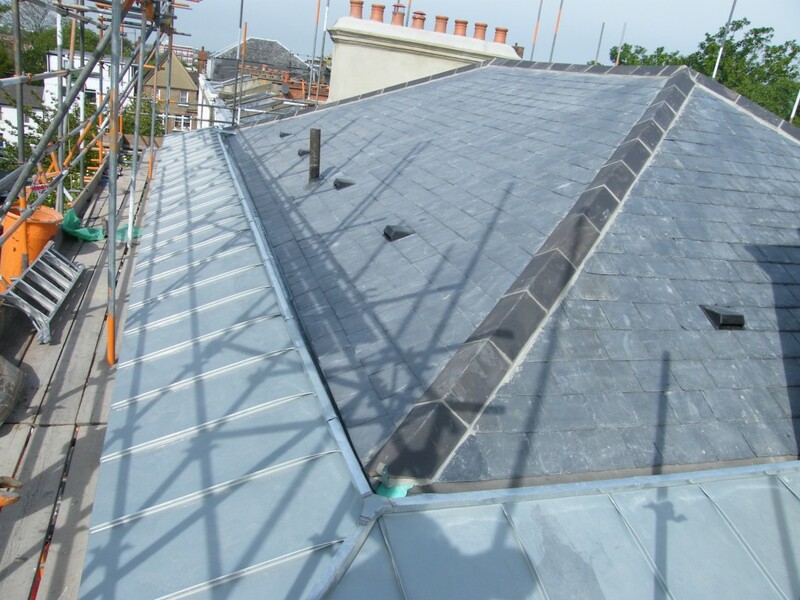 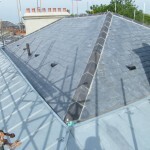 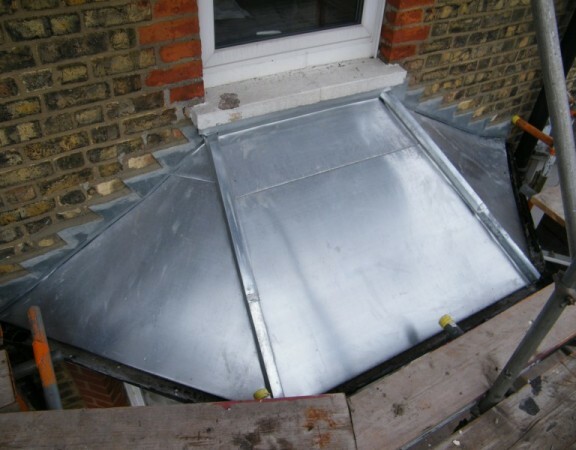 The canopy that surrounds the front and sides of the roof was replaced in titanium standing seam zinc system. 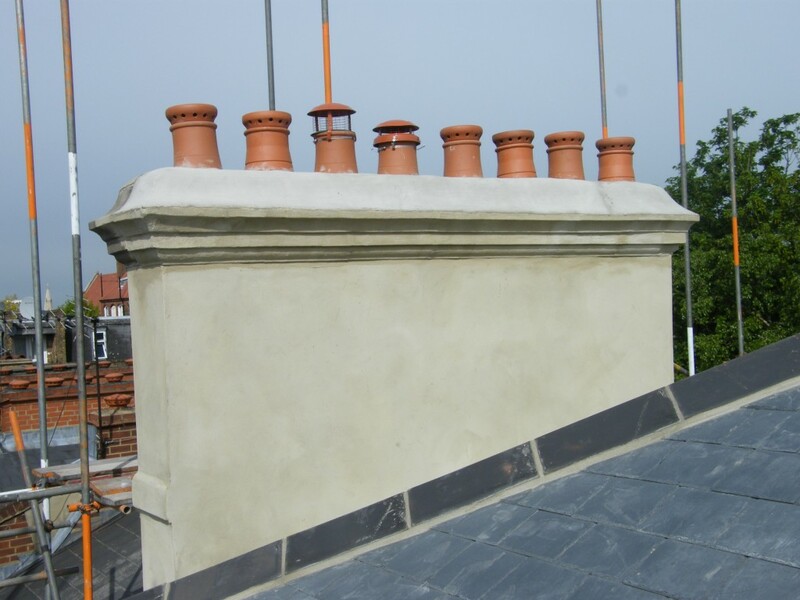 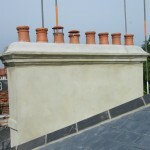 There were also two large chimney stacks that were re-rendered with an old lime mortar mix incorporating the decorative cornice. 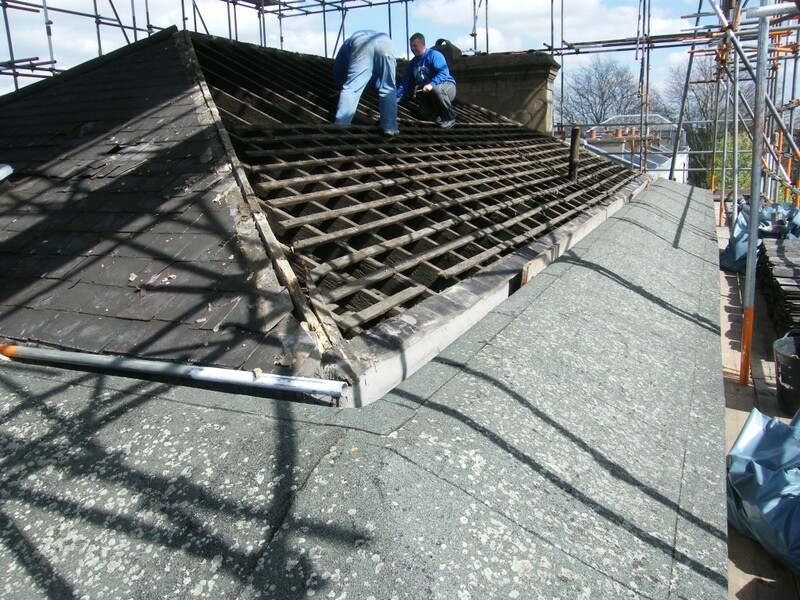 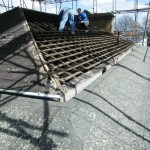 The picture gallery shows the roof before and after and the major transformation of the roof slopes that took place.